Car accidents happen in Miami every single day. Some are fender benders. Others are fatal. Many involve injuries. Most drivers don’t admit fault. In fact, they come up with excuses and bizarre reasons why the car accident is not their fault. Then the insurance companies get involved and what was difficult now likely becomes impossible. Insurance claim adjusters handle hundreds of car crash claims a week. You may have never had a car wreck before. Your focus and that of the insurance representative are completely different. You want your life back. The insurance company wants to pay as little as possible and shift blame when possible. It is usually a battle. In addition to your property damage, let’s say you are hurt too. You call your family doctor or primary physician only to be told “We don’t handle car accident cases”. You might have bills for the ambulance, emergency room or urgent care. You can’t go to work. Your car is sitting in a tow yard and you are being charged by the day. What are you supposed to do? There is no shortage of advertisements for lawyers who say they will represent you. Look at any billboard, bus bench, or just Google injury attorney in your city. You never needed a lawyer before and you are not sure what to do now. You will want the best Miami car accident injury lawyer you can find. 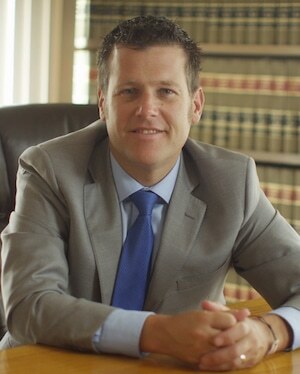 So how do you find the best personal injury attorney in Miami for your case? You will not only want to know if the lawyer is the right one, you will also want to be sure that you are hiring the best car accident law firm in Miami to represent you and your family. The Miami Car Accident Lawyers and Attorneys at the Wolfson Law Firm have been helping personal injury victims in Florida since 1963. Our Miami personal injury lawyers represent people injured in all types of accidents including motorcycle accidents, slip and fall accidents, wrongful death claims, Uber and Lyft accidents, truck accidents and pedestrian accidents. The Miami serious injury lawyers at the Wolfson Law Firm have come up with a list of suggestions for anyone seeking to hire a car accident lawyer and personal injury lawyer in Miami. Ultimately, the choice is yours. But you should do your research and be a smart, informed consumer and client. Education and Qualifications of the lawyer and the law firm. This is simple. If the lawyer’s website doesn’t list their education and qualifications, then ask for it. If there is an issue in getting this information that should be a clue that maybe this isn’t the best car accident attorney for your Miami injury case. Experience with Miami Car Accidents. Another easy one. You don’t want to be anyone’s first car accident case. Let the lawyer learn the business with someone else. Who will handle your car accident case? Will the personal injury handle your case or will it be a “case worker”? While many paralegals and case workers can provide good service, you should know from the beginning who you will be dealing with when you have questions. You are making a decision of who is the best Miami car accident attorney for your case not the best paralegal or case worker. Will the attorney go to trial if necessary? Find out if the car accident lawyer you are meeting with will go to trial if necessary. If the lawyer routinely refers cases to trial attorneys that is information you might want to know. Understand that will not increase your attorneys’ fees as the lawyers will share the fee. But if it is important to you to know who will see your case through to settlement or jury verdict, then ask the question when you are interviewing potential personal injury lawyers in Miami. Where did this attorney come from? If you were referred to a lawyer by family, a friend or a co-worker, that is usually a good thing because they likely had a good experience. But if a total stranger approaches you after a car accident in Miami and offers to help you get money, that is a bad thing and it is illegal. These strangers are called “runners” and they try to sign up car accident victims for unethical lawyers and medical providers. Consider this when you are deciding who the best care accident attorney in Miami is for you and your family. Read the reviews. Google the lawyer and the law firm. Read their reviews from other clients. You might find out valuable information about the Miami personal injury lawyer you are considering. These are just a few of the factors we recommend that you consider when deciding the best personal injury attorney in Miami for your car accident injury case. Most of all, and no matter who you may choose, remember you are the client and you make the ultimate decision. Don’t ever let anyone take that away from you. If you were injured in a Miami car accident, the personal injury lawyers at the Miami office of the Wolfson Law Firm would be honored for the opportunity to interview with you and your family. We offer representation from the first moment you contact us through a reasonable settlement, jury verdict or appeal decision. 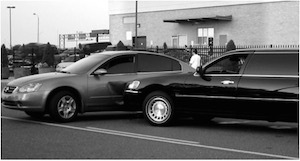 We do not refer our car accident clients to other attorneys for litigation or trial. We represent our car accident injury clients through the entire process. Our personal injury team and our Managing Attorney Jonah Wolfson are bilingual car accident injury professionals. We are available to meet with you and your loved ones for a free and confidential consultation. You will not owe us a fee unless we recover for you. Just call us today at (305) 285-1115 today and let us answer your questions and help you. The Wolfson Law Firm represents personal injury victims throughout Florida including the communities of Miami, Weston, Doral, Miami Beach, Aventura, Edgewater, North Miami Beach, Islamorada, Fort Lauderdale, Key Largo, West Palm Beach, Hollywood, Key Biscayne, Opa-Locka, Coral Gables, and Liberty City.